One week ago, we celebrated my birthday. I then jumped on a plane to Canada and here we are one week later, celebrating Ryan's birthday! You may remember the amazing celebration we had in Chicago last year. Though Columbia Crest & Foodbuzz aren't sponsoring any meals this time around, we've returned to Chicago with friends Mike and Maggie once again. By the time you're reading this, most of our weekend has passed... On this year's agenda? An architectural tour of the city by boat, shopping (in particular checking out the Mad Men collection at Banana Republic...and having to tear the birthday boy away! ), dinner at Girl and the Goat (insert squeal! ), and a "meeting" (aka cocktail party) with our RAGNAR DC team to prep for our upcoming relay. A busy weekend, for sure, but worth it...and all in celebration of my dear husband Ryan. At twenty-five, Ryan is more confident, more hardworking, and more dependable than most men his age. Aside from his boyish good looks, people, particularly at work, are always shocked to find out how young he is. I couldn't ask for a better or more supportive husband and he deserves far more than a mere shout out on the blog! Ryan, you are my favoritest ever. I cannot imagine a life without you and I thank God every day for blessing me with someone far better than what I deserve. I love you more than I can ever show or say! ...and for those of you who aren't here to listen to me go all gaga over my husband, I do have a recipe for you today! 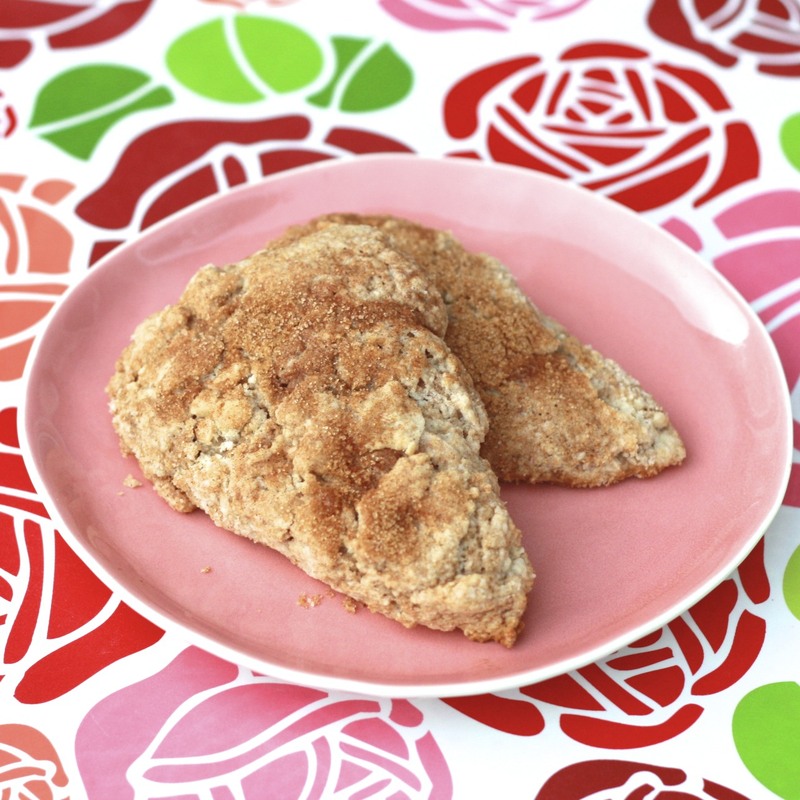 These snickerdoodle scones don't need much introduction. 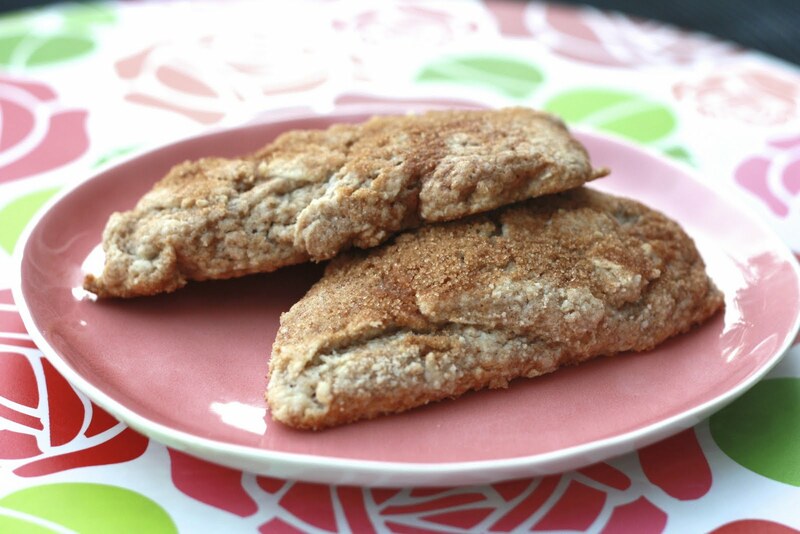 If you are against snickerdoodles for breakfast, this is the next best thing! With cinnamon and sugar in both the batter and coating the outside of the scone, you'll get your fix. Eat them shortly after baking; I always find that scones are best the day (or within a few hours!) that they're made! 2. Mix sour cream and baking soda together in a small bowl and set aside. In the bowl of a food processor, place sugar, cinnamon, flour, baking powder, salt, and cream of tartar. Pulse a few times to combine. 4. Beat the egg into the sour cream mixture and pour into the flour mixture. Mix by hand, just until moistened. Place the dough on the prepared baking sheet and pat into a large disk. 5. Cut disk into 8 wedges and separate slightly. (My disk was hard to form, next time I might just drop chunks of dough on the sheet) Mix cinnamon and sugar and sprinkle over the scones. 6. Bake for 15-20 minutes or until golden brown. Allow to cool for 5 minutes before transferring to a wire rack to cool completely.